The Bulletin reports that Archibald MacLeish, LL.B. ’19, Alan Rinehart ’21, and Roy E. Larsen ’21 are, respectively, education editor, associate editor, and circulation manager of a new magazine due to appear February 24—Time. President Conant’s annual report suggests decreasing University enrollment from its present 12,500 to its pre-war average, roughly 8,000, to avoid major increases in physical plant and staff and drastic changes in teaching methods. The University will open its first dormitory for women graduate students in the fall. The building at 1595 Mass. Ave. will accommodate 80 students. Beginning in September, the Business School announces, women may apply directly to its two-year M.B.A. program. The one-year, non-degree Harvard-Radcliffe Program in Business Administration (previously required for any woman seeking to join the M.B.A. program in the second year) will be terminated. 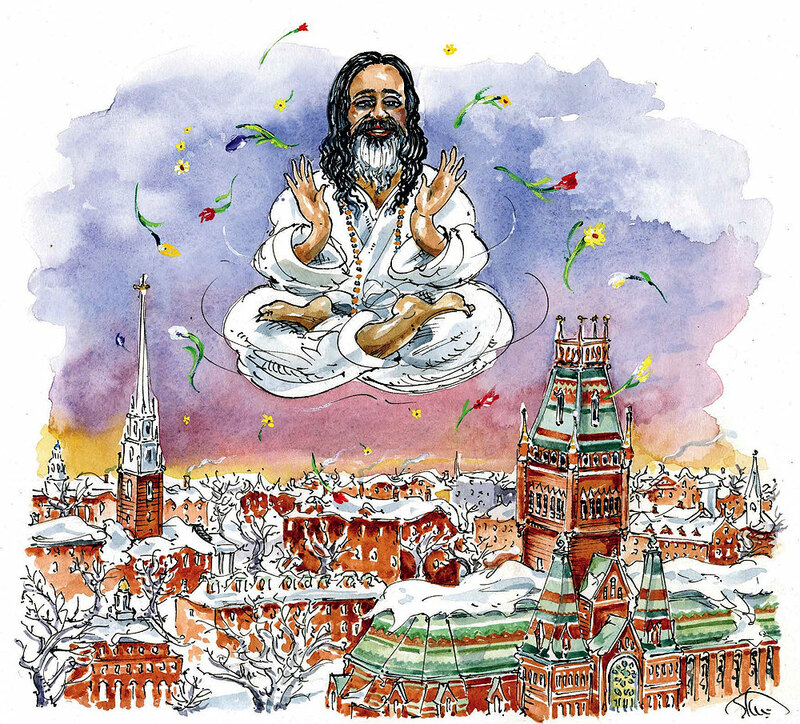 Signs of the times: Maharishi Mahesh Yogi packs both Sanders Theatre and—via public address system—Lowell Lecture Hall; the required reading list for History 144b (“England in the Twentieth Century”) includes Sgt. Pepper’s Lonely Hearts Club Band. The Blizzard of ’78 forces the University to close during full term-time for perhaps the first time in its history. Snow sculptures rise around the Yard, and so many celebrants take to the roads on cross-country skis that snow-removal efforts are impeded, and Cambridge issues a ban on skiing.